Lorenzo Girones, B.A., LL. B., Q.C. Lorenzo Girones graduated from the University of Western Ontario, where he earned a B.A. in Philosophy and Politics. After earning his law degree in 1981 from the University of Toronto, Mr. Girones was called to the Bar in 1970. Bestowed with the honor of the title of Queen’s Counsel, Mr. Girones is highly regarded among his peers as well as the Canadian court system. Mr. Girones was lauded by a Canadian Bar Association Survey as one of the best personal injury lawyers in Canada in competition with thousands of Canadian personal injury lawyers. Being recognized as one of the best in his field testifies to his dedication to not only his work but to his clients as well. 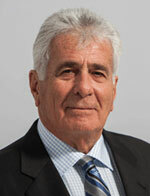 Recipient of the H. Bruce T. Hilyer Award in 2007 (an award presented to legal professionals who “showcase the true spirit of the Ontario Trial Lawyers Association—one that fearlessly brings forth individual rights through advocacy,”), Mr. Girones is a reputable, experienced personal injury lawyer who represents his clients well. Mr. Girones focuses on birth injuries and trauma, medical malpractice, and personal injury. In addition, to his law career, Lorenzo actively participates in community outreach through his association with the American Trial Lawyers Association, the Ontario Trial lawyers Association, the Cochrane Law Association, the Advocates Society, and the Canadian Bar Association. If you think that you or a loved one has suffered from improper, unskilled or negligent treatment by a physician, dentist, nurse, pharmacist or other health care professional, you must speak to a qualified Canadian Medical Malpractice Lawyernear you now? Don’t hestitate any longer, in some cases, you must present your claim within a certain number of months, or weeks or even days. Please call us toll free at (800) 569-1673 to locate a lawyer near you or fill in the form to the left and provide as much information as possible. This will enable us to refer you to the correct Girones lawyer in your area for a free legal consultation.